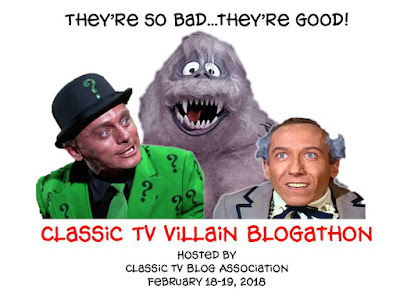 ...Roger C Carmel had already shown himself to be TV's most proficent practictioner of evil, with multiple appearances on various series, including a record-setting run as Classic Star Trek's only repeat antagonist! But his greatest role had yet to be played! And it would be in a historic setting...the first crossover between super-heroes from two different comics companies! 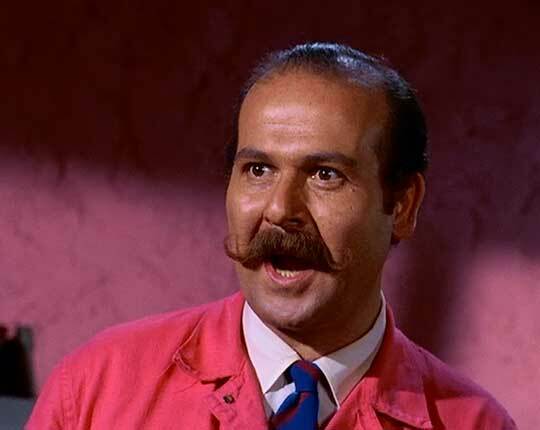 In the Batman second season two-parter "A Piece of the Action" / "Batman's Satisfaction", Carmel played Colonel Gumm, a counterfeiter using his employer, Pinky Pinkston's stamp-printing facilities to produce forgeries of rare stamps he sells to collectors as the real things! It's also implied he had something to do with the demise of his employer's father, Pincus Pinkston, but that's never made clear. 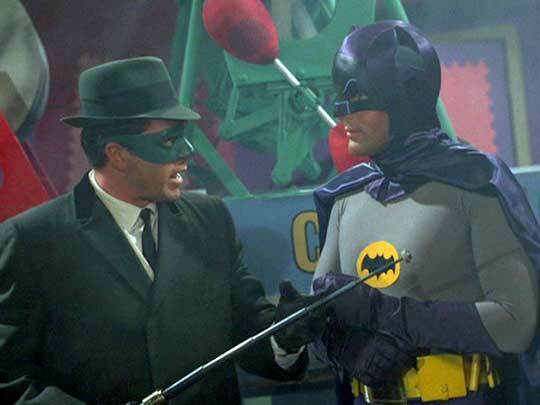 When The Green Hornet (who is believed to be a criminal, though he's actually a hero) shows up demanding a cut of the counterfeiting operation, Gotham's own Caped Crusaders leap into action...to try to arrest The Green Hornet! However, while tailing the Hornet, they discover Gumm is really the baddie! When the Callous Counterfeiter appears to have turned the Hornet and his aide, Kato, into life-size stamps, Batman and Robin attack, but are caught like flies on flypaper as the first episode ends with them also about to be processed into postage stamps! As is the case with such cliffhangers, Batman and Robin break loose and free the Hornet and Kato who weren't turned into giant stamps! Gumm and his men escape, and, without evidence, the Dynamic Duo let Kato and the Hornet walk. Figuring out the Colonel's next move, both duos go to a major stamp exhibition where the Gumm and his gang (in disguse) are about to make off with oodles of rare stamps when both teams of crimefighters take them down while battling each other (since B&R think GH&K are criminals, remember?)! 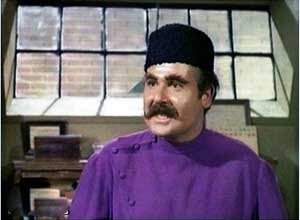 Roger plays Gumm as someone who really enjoys being evil, going almost as all-out wacky as Victor Buono did as King Tut! He gloats and preens, all but devouring the scenery and spitting out toothpicks in an overacting tour-de-force! Carmel gets to play Gumm in three different disguises...all with different accents! ...the Russian-accented "Boris Sevaroff" whom Bruce questions about counterfeit stamps. 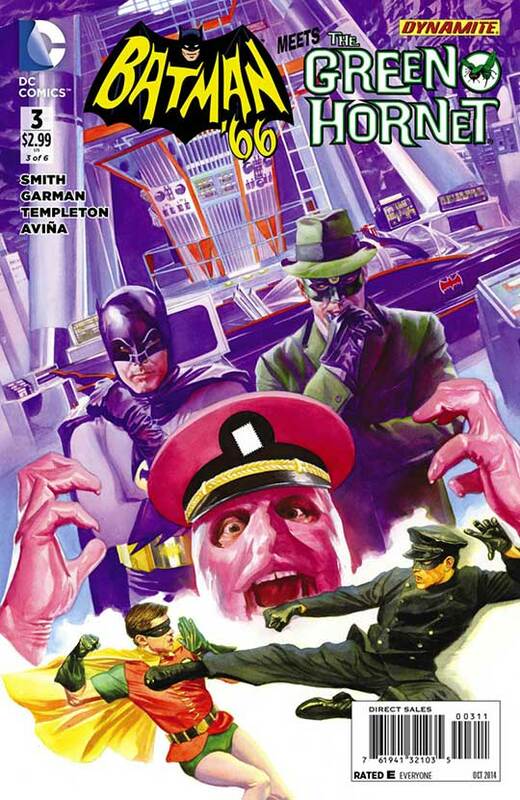 When The Green Hornet invades Gumm's lair later that night, he reveals he knows Gumm is Sevaroff, leading the Colonel to conclude Bruce Wayne is the The Green Hornet! Finally, Gumm appears as "Senor Barbossa", an Argentinian stamp dealer, in order to steal rare stamps at the stamp exhibition. 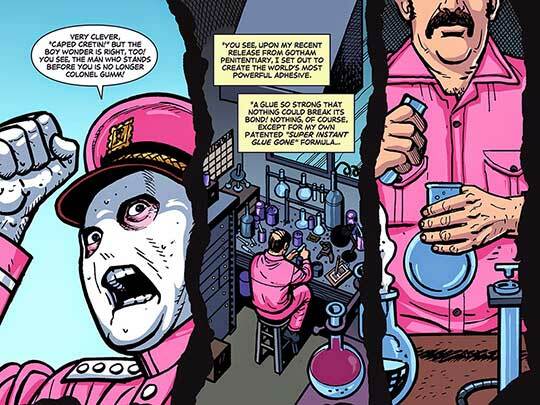 Despite being a one-shot villain, Colonel Gumm was fondly-remembered by Bat-fans, and, a couple of years ago, when a comic based on the TV version of the Caped Crusader, Batman '66, was finally produced, he was brought back for a sequel to the TV series episodes...with a promotion from "Colonel" to "General Gumm"! ...but with a major problem! The publishers didn't have the rights to use Roger's likeness! 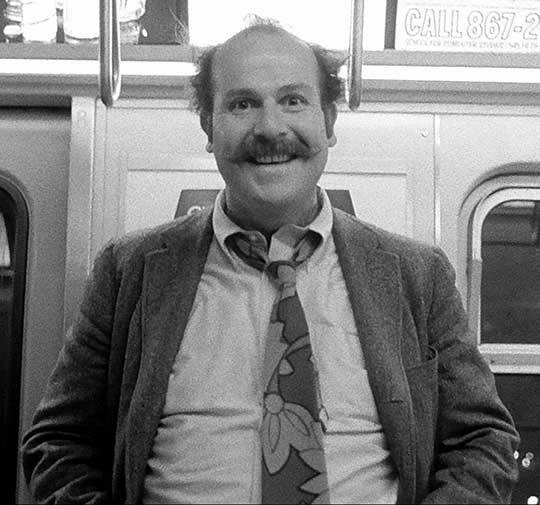 So, the story's writers concocted Gumm having an accident while trying to improve his glue, resulting in a sheet of it permanently affixed to his face! Despite that drawback, the script captures the character's speech patterns perfectly, and you can "hear" Roger's voice in your head as you read the story! Click HERE to see some of the other amazing tales of the video baddies you love to hate! Thanks for the info..He's a legend! 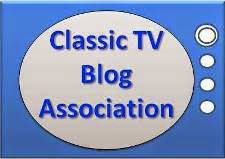 Roger C. Carmel was a much loved television player! 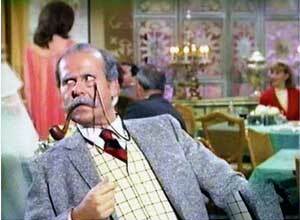 Roger C. Carmel was gone too soon. It would have been great to see what other baddies he could have contributed. 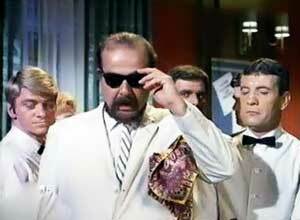 Even if he wasn't the killer, he could have been a very colorful character in an episode of 'Columbo' for example.... great two-parter! The Most Dangerous Man on TV!